Intercropping involves growing two or more crops in one field, such as growing yellow mustard with peas. “Most farmers are not doing this and in large part it’s because this is a completely different production system. 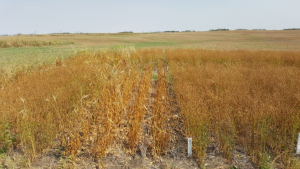 A lot of the same equipment can be used, but we’re trying to seed two crops at the same time,” Lana Shaw, a research manager at South East Research Farm, said. 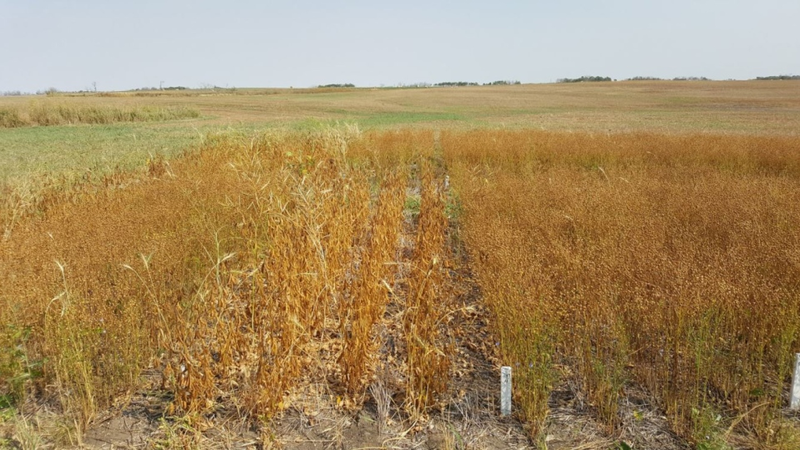 During the final day of the Crop Production Show in Saskatoon, Shaw encouraged a room full of producers to try intercropping. She said the diversification process lowers risk and improves yield. The process involves extra work, such as separating the crop during harvest and ensuring the herbicide is compatible with the crops involved. “There’s also a big knowledge gap. Nobody knows how to do this very well,” Shaw said. Of the 36.4 million acres of cropland in Saskatchewan, Shaw says about 45,000 acres are intercropped.